In celebration of the 2014 college basketball tournament, Acura will debut an innovative multi-media marketing campaign featuring the all-new 2015 Acura TLX sports sedan, going on-sale this summer. The campaign titled “Official Vehicle of Everything Thrilling,” launches this month and will run extensively across ESPN digital and TV platforms, on the Bleacher Report, and during coverage of the college basketball championships. The new Acura TLX campaign, themed around the TLX tagline “It’s that kind of thrill,” includes a broad mix of marketing activations aimed at driving conversation about the new TLX sports sedan. 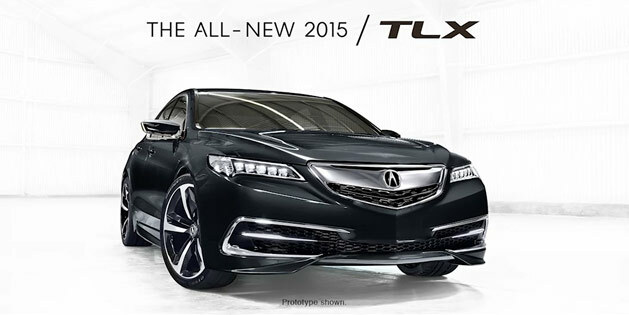 The campaign is designed to engage fans with exclusive opportunities to be the first to own the TLX. Acura Newsroom: The luxury automaker has enlisted a team of writers, designers and producers to create digital media, in response to live game action with banner ads. The ads compare the thrill of driving the Acura TLX to the thrilling events that college basketball fans are watching unfold (ex: “The official vehicle of sending the game into overtime by tipping-in your own miss.”). Acura’s presence during the college basketball championship season follows the brand’s recent major commitment to NBC affiliates in key U.S. markets during coverage of the Sochi games in February. The all-new Acura TLX will be available this summer and will deliver a fresh and exhilarating blend of luxury refinement and sports-sedan athleticism, with exhilarating performance enhanced by next-generation Acura powertrain and dynamic handling technologies.